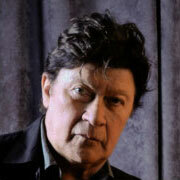 Join us as we welcome gifted singer/songwriter Robbie Robertson to The Clive Davis Theater. Before an intimate audience of 200, hear Robertson discuss his impressive career as well as the astounding collectors set edition of his latest album, How To Become Clairvoyant. After the interview, moderated by GRAMMY Museum Executive Director Bob Santelli, Robertson will take questions from the audience. He's best known for his work in The Band, in which he served as guitarist and primary songwriter. The Band's farewell concert, The Last Waltz , directed by Martin Scorsese, is widely considered the greatest concert film of all time. He has continued to create music for films such as Raging Bull, The Color Of Money, Casino, Ladder 49, The Departed and Shutter Island. In 2011 Robertson released his critically acclaimed 4th solo album How To Become Clairvoyant , which features performances by Eric Clapton, Steve Winwood, Tom Morello, Trent Reznor and Robert Randolph. As well as being listed on Rolling Stone's "100 Best Guitarists of All Time", Robertson has received numerous prestigious awards, which include being inducted into the Rock & Roll Hall of Fame, Canadian's Songwriters Hall of Fame, Juno Hall of Fame, The Order Of Canada, a National Academy of Songwriters Lifetime Achievement Award, the GRAMMY Lifetime Achievement Award and beyond.